If you own your home, chances are that you also own a lawnmower to take care of the yard. While the lawnmower will probably be in regular use in the warmer months of the year, it often ends up taking up valuable space in your garage when the weather cools. 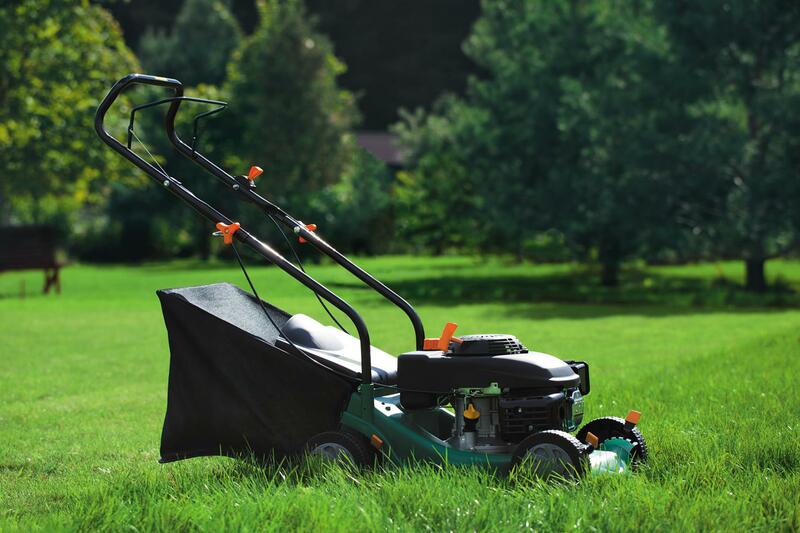 Don’t let your lawn mower take up space that could be better used for your car during the winter months. A storage unit at Affordable Family Storage in Des Moines can be a great option to free up your garage space while also protecting your lawn mower from the elements. In today’s Affordable Family Storage blog, our storage experts have some tips and tricks to make sure your lawn mower is properly stored in your storage space. Using your lawn mower in the spring and summer months means that there is probably a decent amount of lawn clippings, dust, dirt, and other debris buildup on your lawn mower. Before you move your mower to your Affordable Family Storage unit, take some time to clean up your machine. Be sure to check under the hood and under the chassis to make sure you don’t miss any hidden debris. Gasoline is corrosive. If you leave your lawn mower with a partially-filled fuel tank, it can cause damage to the vital parts of the engine. There are varied opinions on whether or not you should completely drain the engine before you store your mower in your Affordable Family Storage unit, but everyone agrees that you shouldn’t leave the tank partially full. Either way, a fuel stabilizer is an important part of your lawn mower storage. Be sure to follow the fuel prep instructions for your specific lawn mower. Once you’ve got the fuel tank taken care of, it’s time to handle the battery. If your lawn mower uses a battery, you’ll want to remove it before you store the mower for a long period of time. Gently remove the battery and clean the terminals to remove any debris and corrosion buildup. Once you’ve completed the necessary preparations for your lawnmower, it’s time to store it in a cool, dry place -- yet another reason why an Affordable Family Storage unit is a great choice! Our storage facility in Des Moines features climate-controlled storage units, meaning your mower won’t fall victim to extreme fluctuations in temperature. And with our convenient 24-hour access, you’ll be able to get your lawn mower whenever you need it. Reserve your storage unit online today!